Our Arc Flash PPE Safety Awareness Training Course is conducted by our experienced training instructor. With an ever increasing duty on employers to ensure the safety, health and welfare of people at work, this course will give you a very good overview of Arch Flash Hazards and the importance of wearing appropriate Arc Flash PPE. 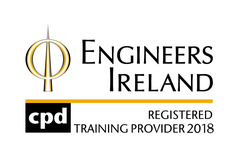 This cost of this course is very competitively priced at €195 per person with each course taking 2 to 3 hours. Our Training Course is carried out either on-site at your premises or you can attend our next scheduled course listed below with each session usually taking 2 hours. For further information or to arrange your Arc Flash PPE Safety Awareness Training, email us at [email protected] or call us on 057 866 2162. We are accredited by NSAI to Quality Management System I.S. EN ISO 9001:2015. On passing an examination, you will be issued with a Certificate of Completion.